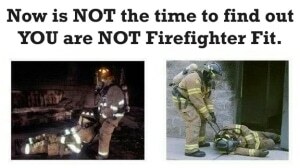 The Most Important Firefighter Fitness Component? I often get asked by Firefighters, EMTs and Paramedics to evaluate their current fitness programs and to possibly give some suggestions. I always try to explain to the individual or group that in order to evaluate the program we must understand the physical demands of the job. Research conducted by York University (Ontario) about the physical demands of Firefighting stated– The most commonly encountered applications of strength and endurance were lifting and carrying objects (up to 80 lbs), pulling objects (up to 135 lbs), and working with objects in front of the body (up to 125 lbs). The most demanding firefighting operations required a mean VO2 of 41.5 ml/kg.min-1 with peak lactate concentrations of 6 to 13.2 mM. Ninety percent of the demanding firefighting operations that were studied required a mean VO2 of 23 ml/kg.min-1. These aerobic energy requirements corresponded to 85 and 50% VO2max, respectively. Therefore a minimum VO2max standard for firefighter applicants of 45 ml/kg.min-1 is recommended. 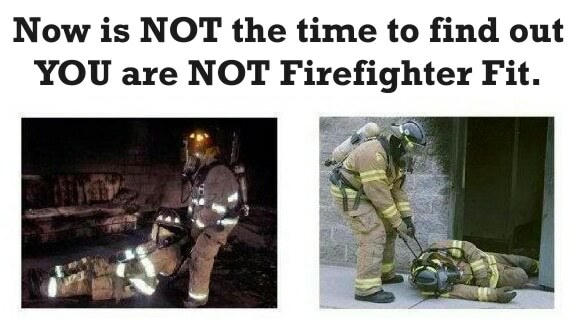 In layman’s terms it means this…Firefighters need to be ready for almost any event. They need to routinely carry loads of 50 to 100 pounds, climb stairs and ladders, swing heavy mallets and axes, drag heavy objects, hold, hoist and stabilize hose lines. They must also be able to recover quickly from these tasks and perform such activities for prolonged periods of time. Lets not forget that all these actions are routinely done in awkward positions and sometimes on unstable planes. 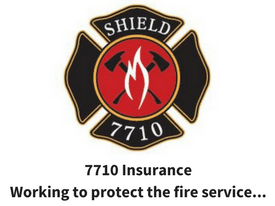 So how do you translate those demands into a fire rescue fitness program? 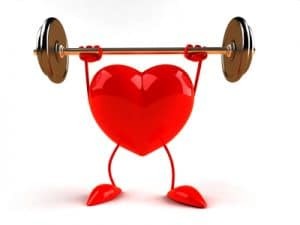 If you look at the above demands, the first fitness component that needs to be addressed is cardiovascular conditioning and recovery, next would be core strength and endurance to be able to carry the heavy weights in awkward positions, then you look at overall muscular strength and power, flexibility and recovery. 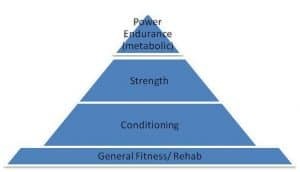 So basically, we need a functional fitness program that emphasizes functional circuit training, core training, balance and agility, joint flexibility, overall strength, endurance and power and must do this progressively to insure proper form and injury prevention. Doesn’t sound like your routine fitness program now does it? Is your current fitness program meeting the above suggestions and demands? If not, then try these programs. 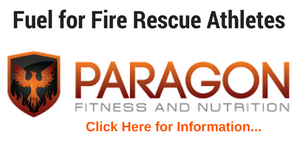 I guarantee they will help you perform (and look) better on the fire ground. 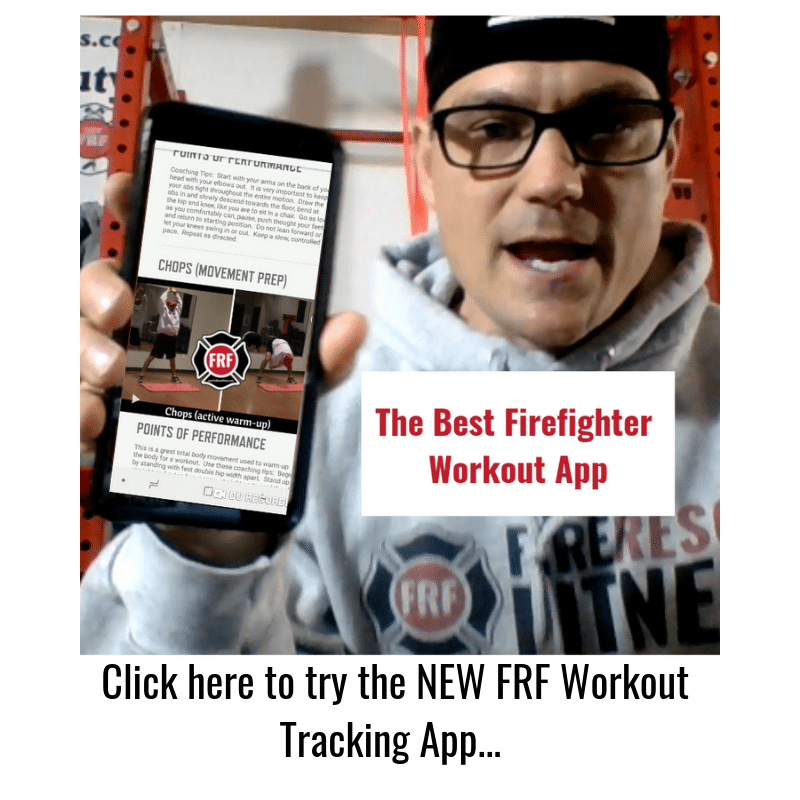 The FRF Ultimate Fire Rescue Athlete and FRF Rapid Fat Loss for Firefighters Workouts follow a scientific progression that systematically improves all the needed fitness aspects of the Fire Rescue Athlete. Gledhill, N. and Jamnik, VK. (September, 1992). Characterization of the physical demands of firefighting. Can J Sport Sci. 17(3):207-13.